Who can apply for a VIBES award? 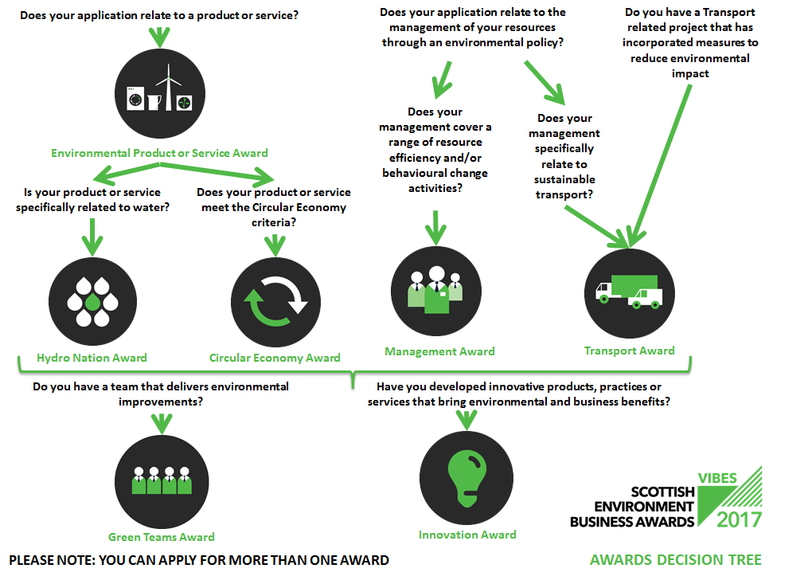 All categories with the exception of the Green Team award are open to any* Scottish based business or social enterprise that contribute to the sustainable development of Scotland. The Green Team Award is open to all public and private sector organisations including charities. * Current partners and sponsors of the VIBES Awards are not eligible to enter. What VIBES categorys can I apply for? There is also a special commendation for adaptation to climate change as part of all categories. You can apply for more than one category. Have a look at our decision tree to find out which category is best suited for your business.